Extending about 900 miles (1,448 km) in total length, the Solomon Islands are a wide-spread archipelago of mountainous volcanic islands (some active), and a few low-lying coral atolls. Its 992 islands are divided up into nine provinces, one of which is the Western Province which is the focus of WWF Pacific’s conservation work in the Solomons. The Western Province is a high marine biodiversity area with one of the most biologically rich ecosystems in the Solomon Islands. Since 1995, WWF has been working there with government and communities from Ghizo and surrounding islands, to develop an effective model for co-management approaches to Marine Conservation. 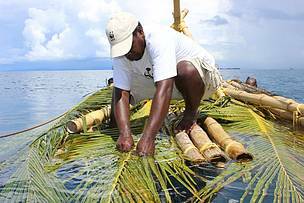 The conservation challenges and threats that the Solomon Islands face are common to most Pacific Island countries. The people have a high dependency on marine resources for subsistence and also for generating cash income. A number of threats and pressures exist on these marine resources including logging, overfishing, pollution and climate change. All of these factors are compounded by rapid population growth particularly in coastal areas. This leads to an increase in coastal development and additional pressure on both terrestrial and near-shore natural resources in the area. 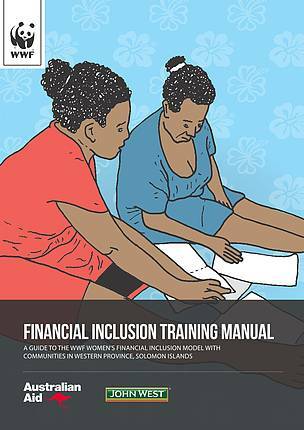 The WWF Pacific Solomon Islands office have a strong focus on Community Based Resource Management which is a critical and central strategy of the Solomon Islands government for securing benefits of marine and terrestrial resources under their National Plan of Action (NPOA). 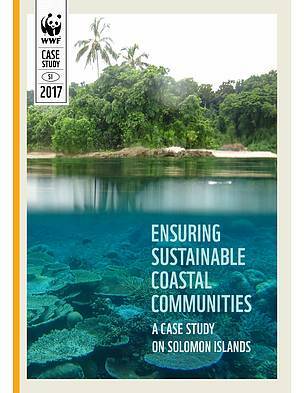 This is the primary document that guides conservation in the Solomon Islands. The IFAD project is supported by WWF Australia and funded by Australian Aid and John West Australia. It addresses income, livelihoods, food security and ecology in the context of ecosystem-based governance and management of coastal fisheries. The main beneficiaries of the initiative are the people of Ghizo Island (about 6,000 people). The Community Based Resources Management project assists communities to sustainably manage their resources through the set-up and maintenance of Marine Protected Areas, spawning aggregation activities that includes fish tagging and coral monitoring and temperature logging activities. Spawning aggregation activities that includes fish tagging also serves to protect turtles as well as the Humphead Wrasse (Cheilinus Undulatus) . We also provide support to the TetepAre Descendants association in terms of their turtle conservation work. Growing turtles within marine protected areas and monitoring the health of coral reefs is an important project activity carried out by communities in Ghizo island. Other footprint species include Dugongs, and the Humphead Wrasse (Cheilinus Undulatus).